Tony Abbott’s call for “full [Aboriginal] participation in Australian society”, like former Prime Minister John Howard’s talk of “a reconciled, indivisible nation”, was a clear indication that Australia’s assimilation era never ended. The Australian government’s focus on getting “kids to school, adults to work and the ordinary law of the land observed” isn’t about empowering our people. It’s about us conforming to colonial social norms, and falling into line with the colonial capitalist economy; the end result being that we become another cog in Australia’s nation building exploits. They want us to be completely attached to, dependent on, and controlled by the institutions of settler society. Their goal is assimilation, to turn the Aborigine into the Australian. Why would we want to identify with those who’ve taken so much from us? Because we’re conditioned on a daily basis to be like them: to identify with their history, their warmongering traditions, their national symbols, and their xenophobic attitudes towards ethnic minorities. We call it the ‘dominant’ culture for a reason. From the mainstream media to the education system, settler society uses their cultural hegemony to pressure us into assimilation. We see it every time we watch the television, every time we listen to the radio, and every time we open a newspaper or magazine. We’re constantly bombarded with assimilationist propaganda lulling us into a false sense of security and belonging. In Australian schools, our children are expected to stand for and sing Australia’s national anthem. We see Australian flags everywhere we go, from car bonnets and boardshorts to universities and fast food restaurants. And each year on the 26th of January, they bribe Aboriginal people with money and awards to prop up and participate in their debauched Australia Day celebrations. The result is a classic case of what’s commonly referred to as ‘Stockholm Syndrome’, whereby the captive (the colonized) begins to bond and identify with their captor (the colonizer). This psychological condition is prevalent among colonized peoples globally–a condition induced and reinforced by the colonial powers that be. The government advances its agenda even further by ridiculing or just simply ignoring the Aboriginal push for self-determination. Federal Minister for Immigration Peter Dutton labelled the Aboriginal passport a “nonsense passport”; Herald Sun columnist Andrew Bolt equated it to “apartheid”; and 4BC radio host John Scott insisted, “we’re all Australians”. Apparently the right of Aboriginal people to decide the future of their own lands and lives is just too farfetched. This is the question we must revisit. Are we (A) members of the Australian nation with basically the same rights and responsibilities as other Australians; or (B) members of a separate Aboriginal nation, and our respective tribal groups, with distinct rights and responsibilities? This is the same question colonized peoples around the world continue to grapple with. Staunch supporters of the Scots’ campaign for independence proudly brandish t-shirts emblazoned with the words “Scottish NOT British”. The Mohawks reject Canadian nationality outright, maintaining their own separate system of self-government and have been issuing their own indigenous passport since 1977. These are just two examples of colonized peoples expressing and asserting their right to self-determination. Others in the mix include West Papuans, Palestinians, the Zapatistas and the Mapuche. For them, the question of national identity is core to their struggle for justice. If we as Aboriginal people are serious about forging a real future for ourselves and generations to come, this is the question we must answer. This ties into the fact that our fundamental rights and responsibilities as Indigenous Peoples have never been compatible with Australia’s national interests. The most blatant example is land use. Both the Australian government and the private sector see land as a commodity to be bought, sold and exploited for monetary gain and ‘economic development’. Whereas, it is the steadfast obligation of indigenous peoples to care for and protect our traditional lands. So where do we go from here? We must organize. To organize effectively, we must first have a platform from which to do so. The initial step is to identify and assert who we are. Once we have a clear and unwavering national identity, one of our biggest problems is solved. A people must know and understand their national interest. The task of Australian colonialism is to convince us that our national interest is within the confines of Australian colonialism. The colonizer labels us ‘Aboriginal Australians’ and ‘First Australians’ because such terms keep us exactly where we are, holding onto a system that forces us to become something we’re not. We’re Aboriginal, simple. It’s true that ‘Aboriginal’ and ‘Aborigine’ are foreign terms, finding their roots in ancient Italy (in the Latin language, ab means “from” and origine translates to “earliest beginning or lineage”). ‘Indigenous’ and ‘First Nations’ are also foreign terms. Unlike the Māori of Aotearoa, we do not have a traditional word for our people collectively. 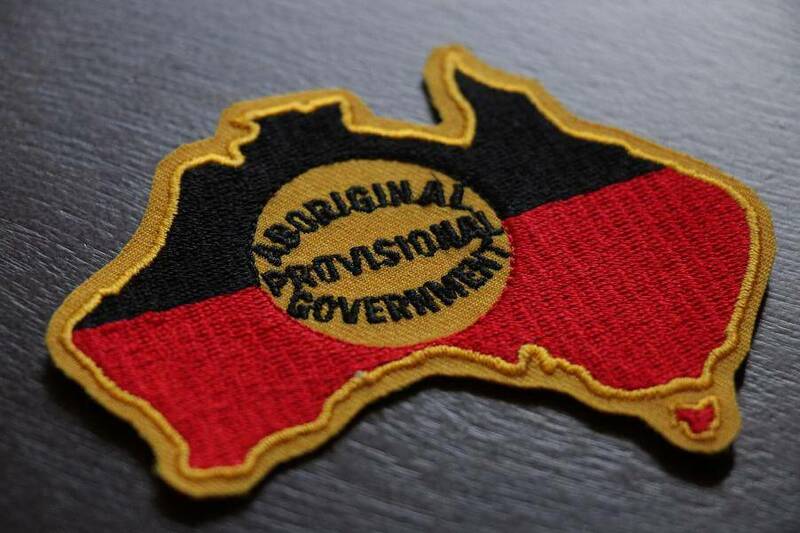 For simplicity’s sake, and for practical purposes, the APG uses the term ‘Aboriginal nation’ when referring to our people collectively as a politically and culturally distinct group native to this country. Identifying in this way is not to diminish our diverse tribal identities–far from it. The whole is nothing without the parts, hence why I’m Nyaywana first and foremost. Nyaywana is the core of my identity as an Aboriginal person – my family, my history, my language, and my connection to country. But there is substance behind the saying “strength in unity”. Trade, ceremony and songlines have connected our tribes since time immemorial. From the frontier wars to the lands rights movement, our fight against colonization has only reinforced this bond. Looking forward, a united Aboriginal front will be vital. Let’s not get waylaid with semantics. Like the Palestinians, Aborigines are an occupied people. Like Israel, Australia is an illegal settler state occupying another people’s land by force. Once we realize these truths, our whole outlook changes – ‘Australia’ is no longer our point of reference in any shape or form.